Kellogg’s believes that beginning each day at the breakfast table with its customers is a privilege and it strives to come up with new ways to make that time a positive experience. Kellogg’s has been serving up nourishing breakfasts for more than 100 years and the company has succeeded in becoming a household name across the world because it sees its role in food manufacturing as something special — providing people with the first fuel for their bodies to get them through the day and the sustenance for living better lives. Kellogg’s believes that beginning each day at the breakfast table with its customers is a privilege and it strives to come up with new ways to make that time a positive experience. Belinda Tumbers took on the role of MD Kellogg’s Australia New Zealand in 2015. After 18 years in the food industry — working in Australia, New Zealand, and the United States — Belinda was excited to win the job because Australians already had so much love for the Kellogg’s brand. Kellogg’s has been in the breakfast business for an incredibly long time, so Belinda finds it particularly thrilling that cereal is having a moment in the spotlight. It allows Kellogg’s to attract new customers and very fashionable partners. An aggressive innovation agenda has been facilitating a constant stream of new products at Kellogg’s, which is set to remain a priority over the next year. Feedback from the Kellogg’s ‘Open for Breakfast’ platform, which allows customers the chance to ask any question they want — how cereal is made, what goes into them, where Kellogg’s sources its ingredients, for example — has proven to produce invaluable insight about what customers are looking for. “We’ve got a lot more innovation coming over the next 12 months that really reflects the change in consumers’ lifestyle today. Creating things that are more convenient or that meet a different consumer need than what we’ve potentially had in the past,” says Belinda. To maintain a brand people have loved since childhood while taking advantage of new trends and opportunities for innovation, Belinda has worked tirelessly to build a workforce that is playing to win and having fun while they do it. She describes the Kellogg’s recruitment process as “rigorous” and says that it is designed to source people who are not only perfect for the role, but also the organisation, which models the ‘K Values’ promoted by founder, W.K. 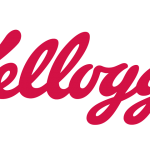 Kellogg, centered around acting with integrity and respect, being accountable, having humility and a hunger to learn, striving for simplicity in a complex marketplace, and celebrating success. “I’m a really big believer that leadership drives culture and culture drives performance. Our people, and our passion for what we are doing, is what’s helping to turn our business around,” Belinda says. At Kellogg’s, celebrating success is also about sharing that success with the community. It has a number of programs that impact the lives of Australians in regional communities, Indigenous communities, and those less fortunate. “In 2013, we launched the ‘Breakfast for Better Days’ initiative and since then, in partnership with Foodbank, we’ve donated more than 17 million serves of cereal to people in need. We’ve helped a lot of homeless or less than privileged people here get food to start their day the right way,” says Belinda. Since it began manufacturing in Australia back in 1927, Kellogg’s has developed strong and loyal relationships with its suppliers — from grocery retail partners like Coles and Woolworths to Australian farmers who have been working with Kellogg’s for three generations.